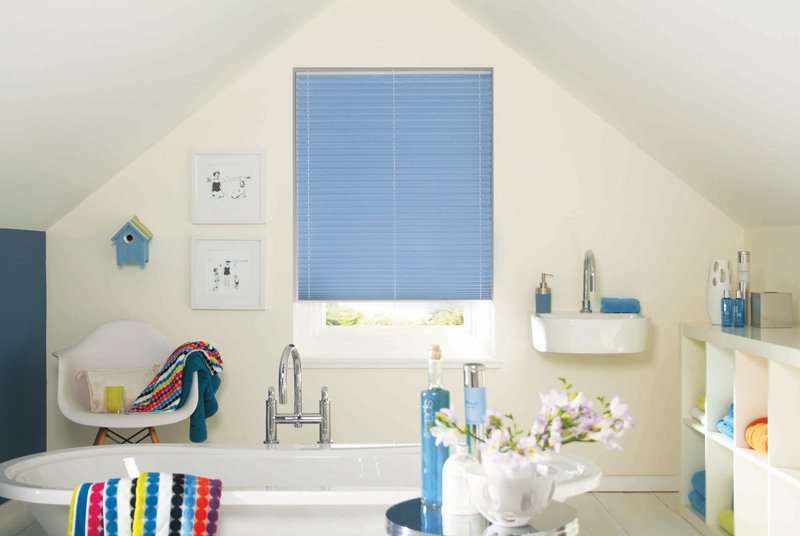 Pleated blinds are a great-looking contemporary choice for a whole range of rooms. With a host of colours and fabrics available, there is sure to be a look to suit your room. An elegant choice, whether you want a subtle solution or something that adds a dash of colour. 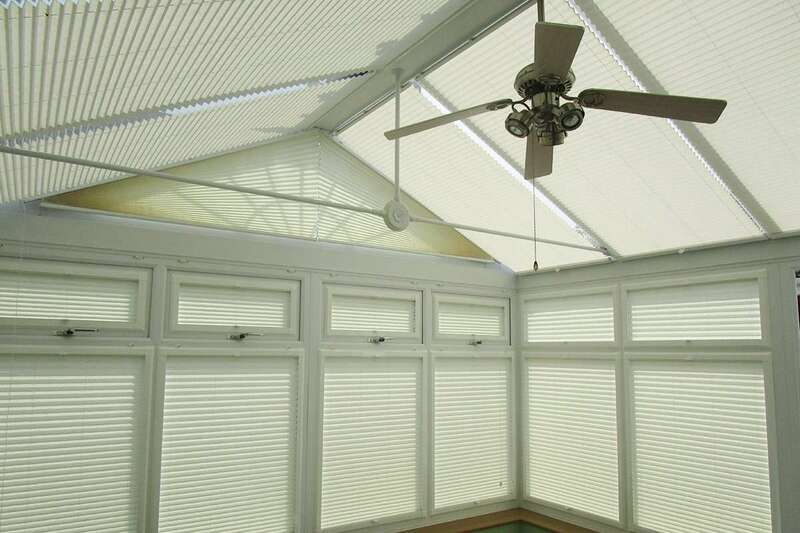 Pleated blinds are a popular choice for conservatories. 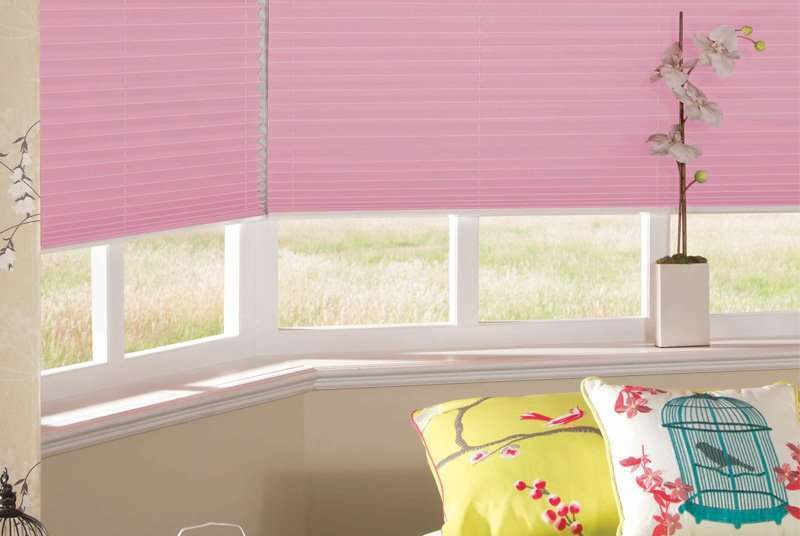 Our blinds are manufactured by us right here in Suffolk. We use the unipleat system to stop pleats gathering at the bottom of the blind, ensuring the attractive, even pleated look is maintained. We have a choice of two fits. 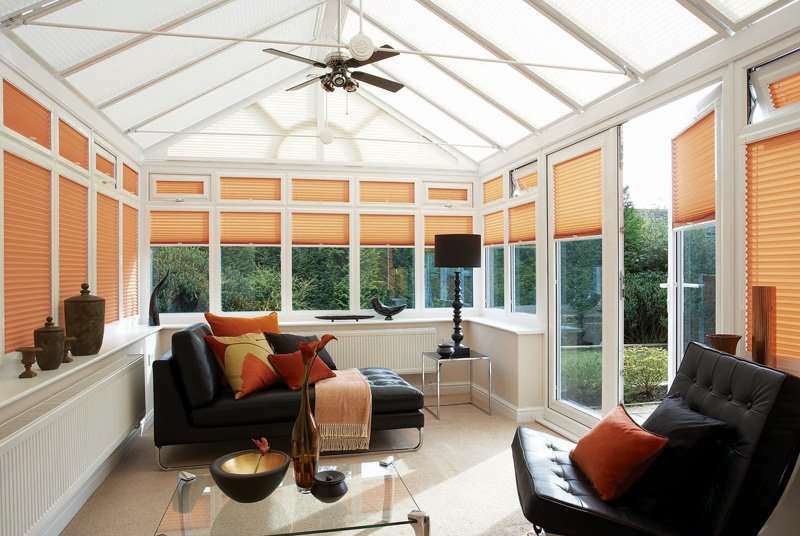 Our standard fit blinds can either be free hanging or tensioned using a bottom rail. 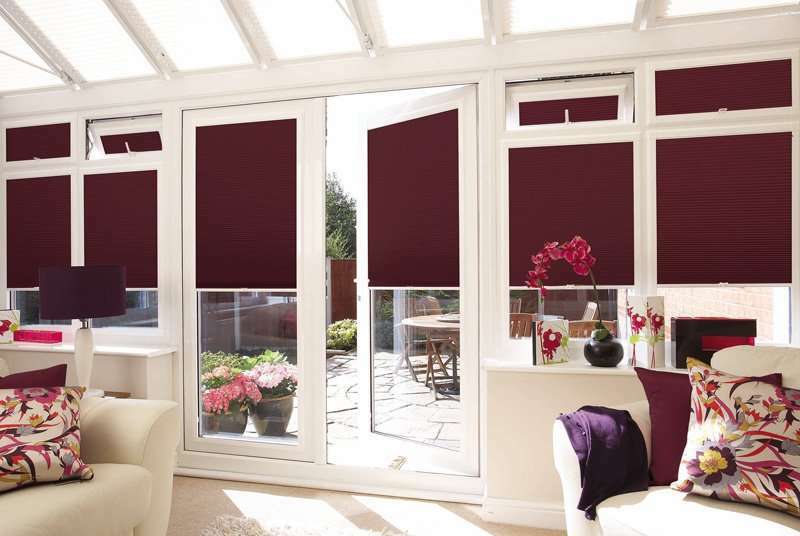 Our perfect fit blinds require no drilling or screwing. They become a seamless part of your uPVC window. This fit increases light retention and provides great thermal efficiency helping keep your room warm in winter and cool in summer. With no cords, they’re also a child friendly option. Flying blinds offer the ultimate in flexibility. The entire blind can be moved up and down within its frame so you can position it to provide the perfect balance between shade and view. 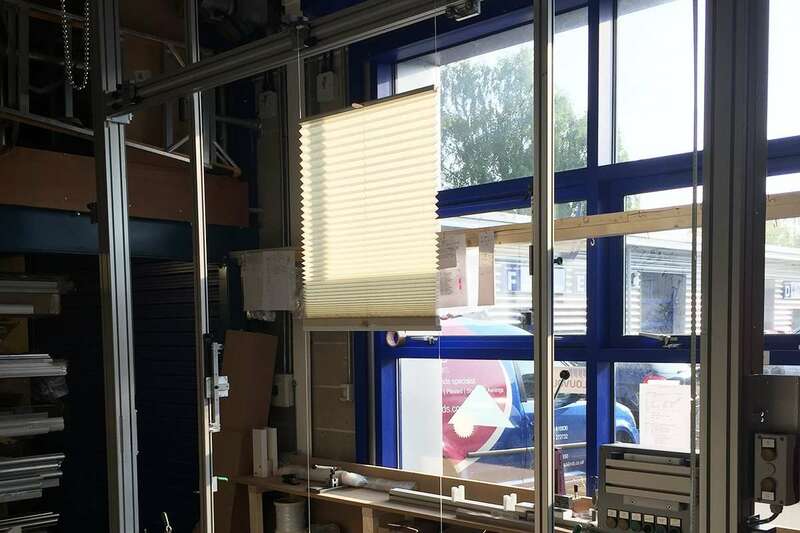 We hand-make our flying blinds right here in Suffolk, offering the very best quality service and finish. High quality – custom-made here in Suffolk.